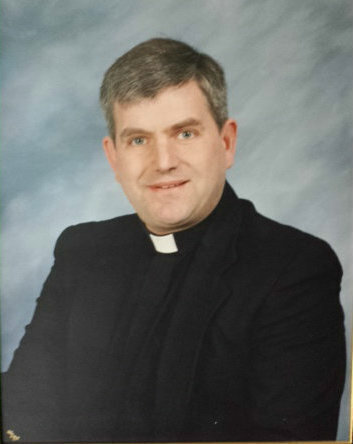 Father Michael L. Maginot - St. Stephen, Martyr Catholic Church Merrillville, IN. Fr. Michael L. Maginot was born in Gary, Indiana on July 20, 1957, the first of six children (three boys and three girls). His family moved to Merrillville when he was three and grew up there. He graduated from SS. Peter and Paul School and later Merrillville High School in 1975. He went to seminary at St. Meinrad College in Southern Indiana and gained a BS degree in Chemistry and went to Rome for Theology and gained a S.T.L. degree in Biblical Theology in 1984. Fr. Mike was ordained a priest on July 2, 1983. He would later be sent back to Rome to gain a J.C.L. degree in Canon Law also at the Pontifical Gregorian University in 2000. When he returned, he would be assigned to St. Stephen, Martyr Parish as administrator with duties also at the Tribunal in the Diocese of Gary. For three years, he would be in charge of the Tribunal as Judicial Vicar for the Diocese. Afterwards, he would become Pastor of the parish and would be asked by many priests in trouble to act as their advocate. In 2012, he was given permission by the bishop to be an exorcist for a family whose case eventually would receive worldwide notoriety after the mother decided to make the successful case known to the press. We are a family here at St Stephens where Fr. Mike leads us and helps us grow spiritually.